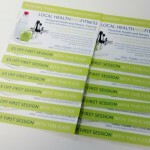 Postcards available in A6 or other sizes on 360gsm board at Ace Print - We serve Ossett, Wakefield, Leeds, and beyond. 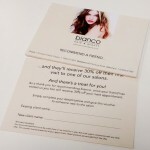 We offer high quality printed postcards on decent paper stock so the the all important feel of the card is quite impressive. The postcards have a varied number of uses from personalised correspondence cards to a more sturdy form of advertisement. Our postcard printing is incredibly versatile with a great number of finish options and paper stocks, so whatever you need I'm sure we can provide it. 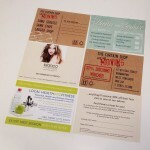 Postcards are a versatile form of print that can fulfil a great many of your needs. It's true that we can print very traditional postcards taking a beloved family photo or corporate imagery and then adding the usual address and message space for any correspondence you may have. Traditional post cards are still used by many people for simple forms of postal communication but you may have other needs for printed postcards. They make a nice alternative to birthday or festive greetings cards or they can just be a nice way to say hello to a friend or loved one you may have lost contact with. Postcards are an excellent form of advertisement as a more substantial flyer capable of being put through the regular postage system. The quality of postcard board, coupled with our top quality printing, will surely make these postcards an advertisement that will stand above your competition. 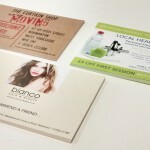 They don;t have to be posted, the card stock and size are a great combination for any kind of advert you can think of. Advertisement is not the only use of our printed postcards, we find that many people have a need for a small printed card of some sort. 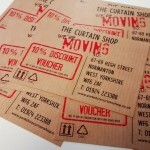 They're great for booking appointments, asking customers for feedback, an information sheet, as small menus, as a very basic form of programme for a play, or anything else you can think of. What we can print on our postcards is limited only by you imagination. We do have a standard size, shape, and card stock we work to but we can customise each and every part of your print so you get exactly what you want. Prices are for printing on 350g board. For a more detailed quote please get in touch.